I had a lovely peaceful christmas break, but I'm sorry for the long radio silence. Before the year ended I spent a few weeks in Paris. The trip was very beautiful and full of great discoveries. A good friend came out to visit for the weekend, and we went to the free Sempé exhibition at Hôtel de Ville. It had over 300 original drawings, and we both thoroughly enjoyed it (see a video of the exhibition here). If you aren't familiar with Sempé I encourage you to look out some of his books. 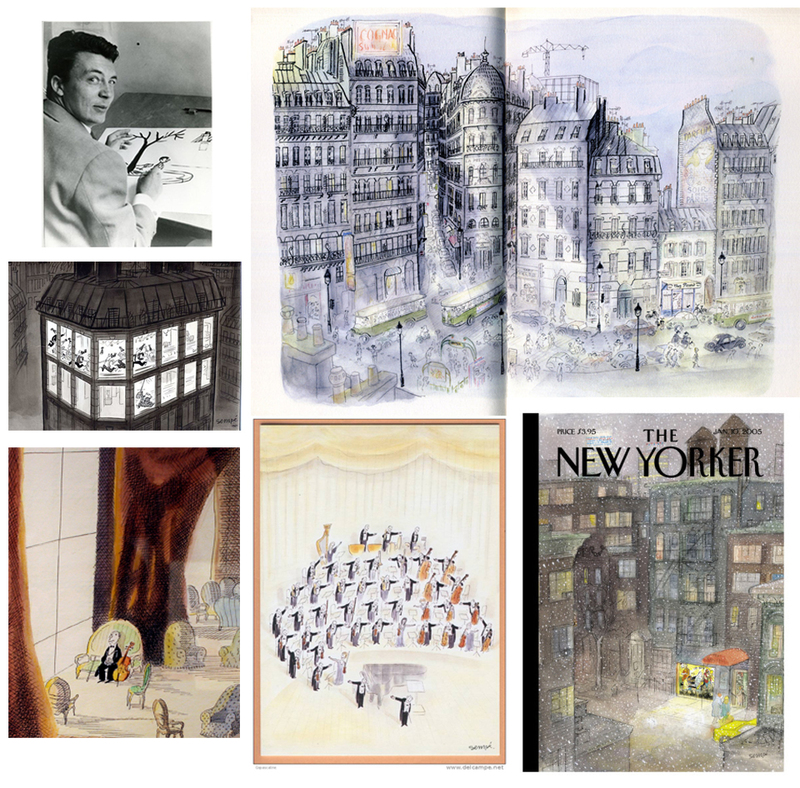 I really enjoyed seeing his covers for The New Yorker, and his more experimental work, the sheer volume of work was astounding. It was also the first exhibition I've been to where the crowd were all smiling broadly, and laughing, as they walked around. I also wanted to share this excellent clip of the title credits for the Petit Nicolas film they made in 2009. The film is shot in live action, but they used the original Sempé drawings for the credits, in a very inventive way. Take a look!